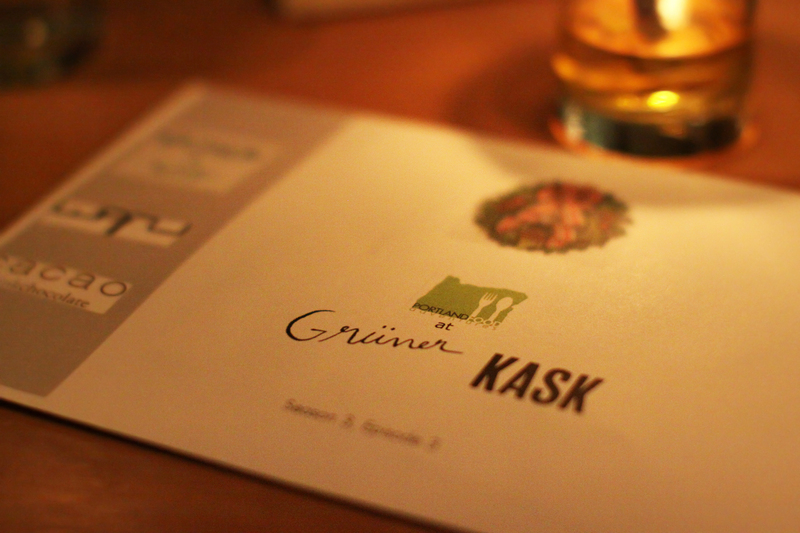 Last Sunday the 9th brought us to a very special Portland Food Adventures at Grüner and it’s connected bar Kask, to help Grüner ring in its 3rd anniversary! They started us out with a refreshing cocktail and appetizers, before our host Chris Angelus introduced us to Chef Chris Israel, who talked to us a bit about Grüner’s progression and what we had in store for the evening. As we moved over to Gruner, we had a lovely table set up and even a welcome sign on their board! 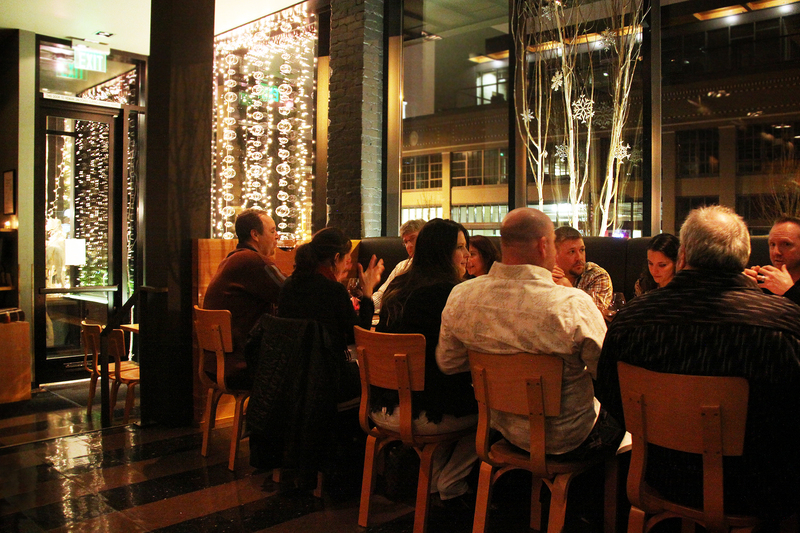 The place was nicely decorated for the holidays with lots of light and some soft pretzels ready for us. 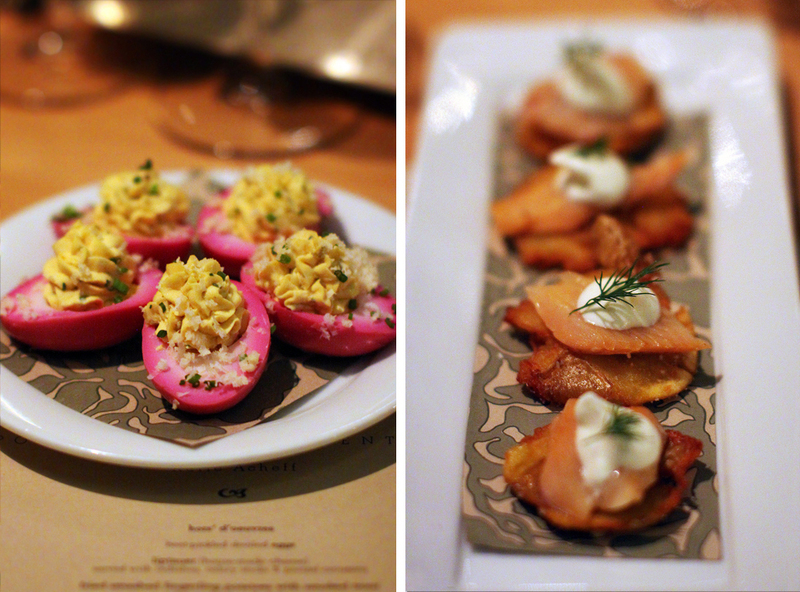 The first course was a combination of beet-pickled deviled eggs, smoked trout mousse, and a liptauer cheese spread. 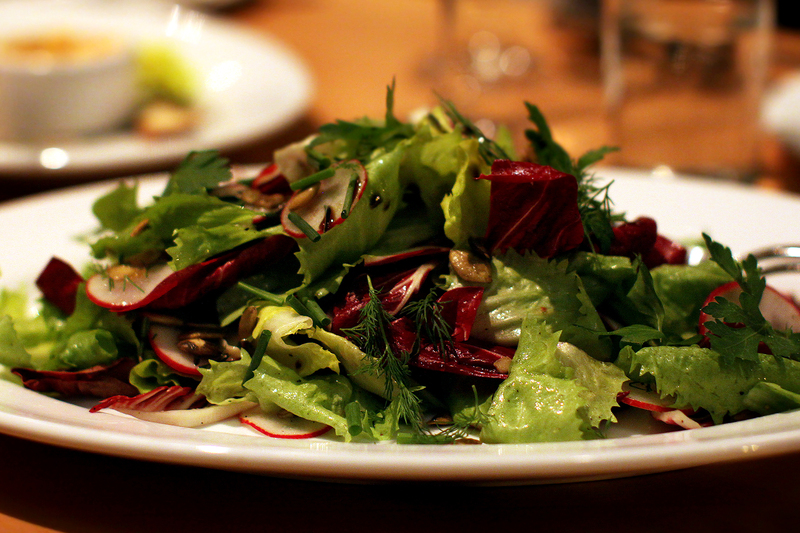 There were of course many ‘cheers’ to be had, as we were brought our second course, a salad of winter greens with radishes, toasted pumpkin seeds and a cider vinaigrette. 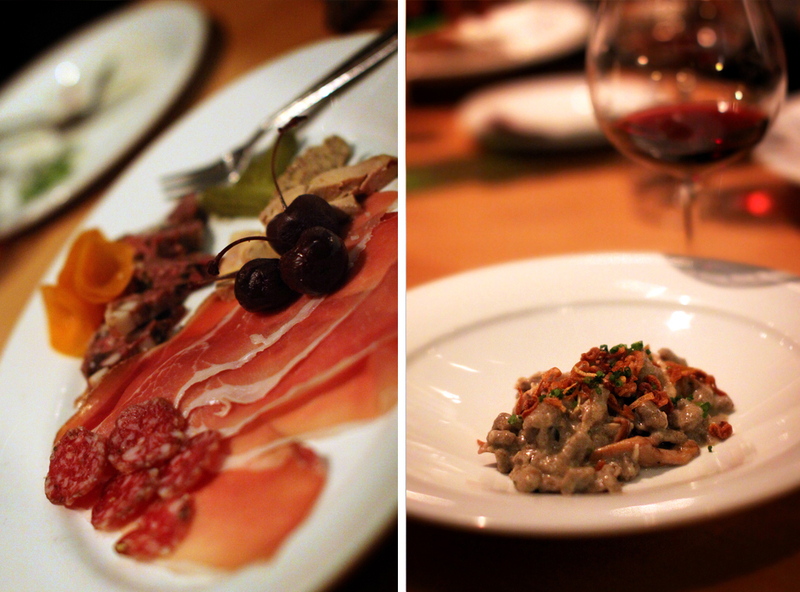 Not too far after were our 4th and 5th dishes, above on the left a charcuterie plate with an assortment of house-made pates, terrines and cured meats like speck and salami, along with picked fruits and mustard. 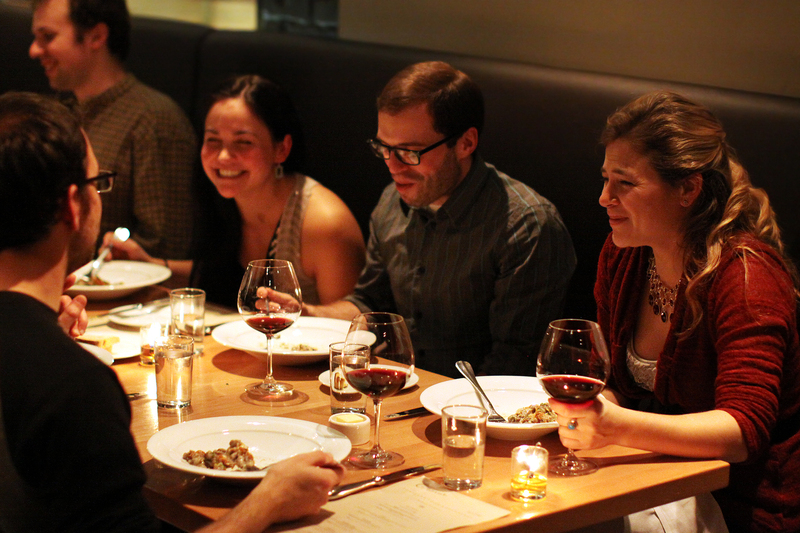 Above to the right was probably my favorite dish of the evening; a buckwheat spatzle with Riesling braised chicken, wild mushrooms, crème fraiche and crisp shallots. 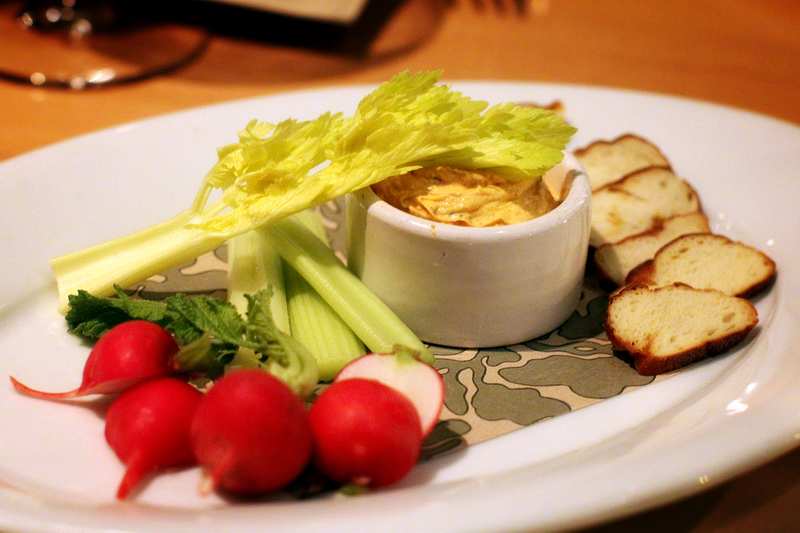 It was so hearty and a perfect blend of flavors for the winter. As us Adventurers ventured on, we got a mixed grill of house-made sausages and pork tenderloin, with sauerkraut and Yukon gold potatoes, served with a mustard dipping sauce. 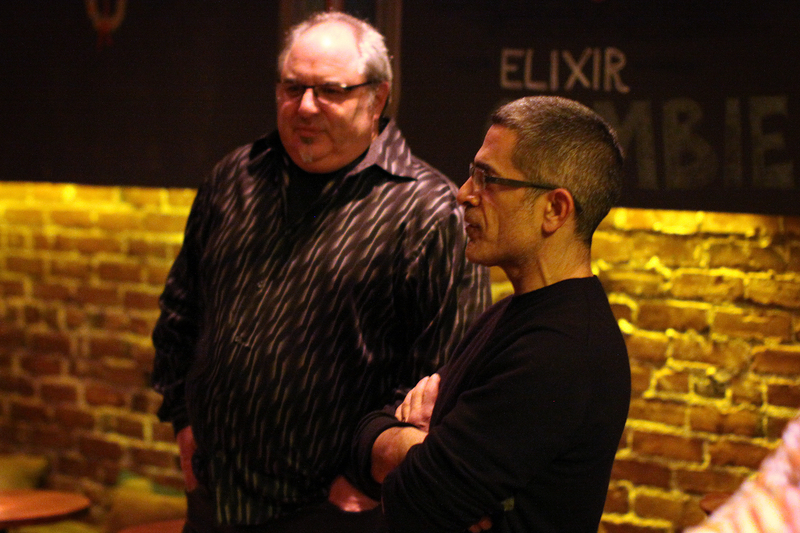 After some Portland Restaurant trivia which gave out quite a few gift certificates to quick witted guests, we were given our gift packs for the evening and Chris Israel came out to talk a little bit about the gift certificates for the evening which included St. Jack, Cacao, and Wafu. 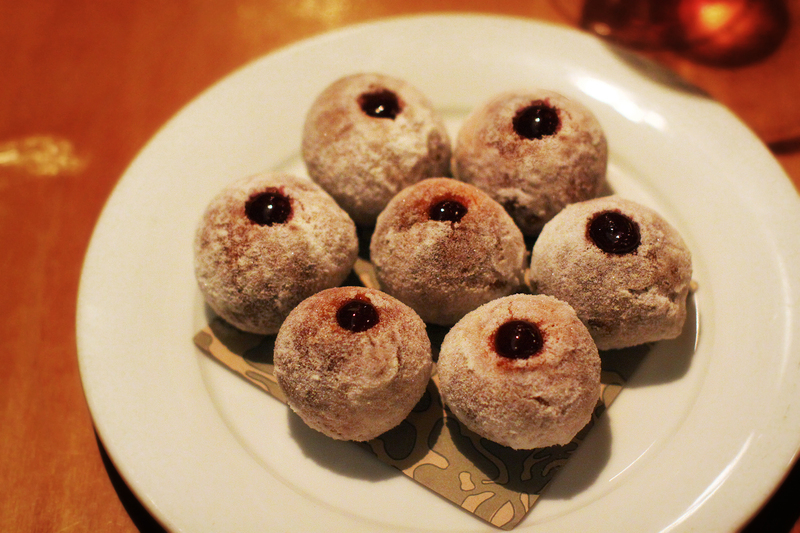 We were also brought out our last dessert course; delicious doughnuts rolled in sugar and filled with raspberry jam. YUM! And with that another PFA came to a close! 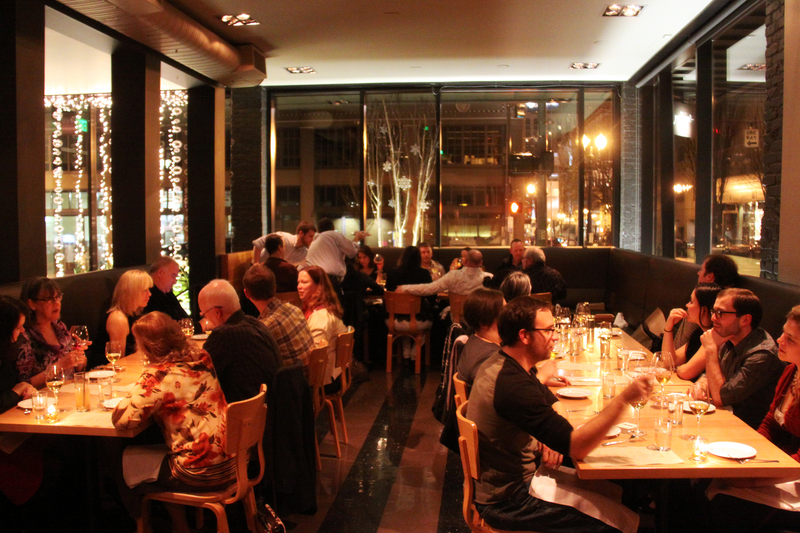 Thanks to all the guests and gracious staff of Grüner for a very pleasant evening. 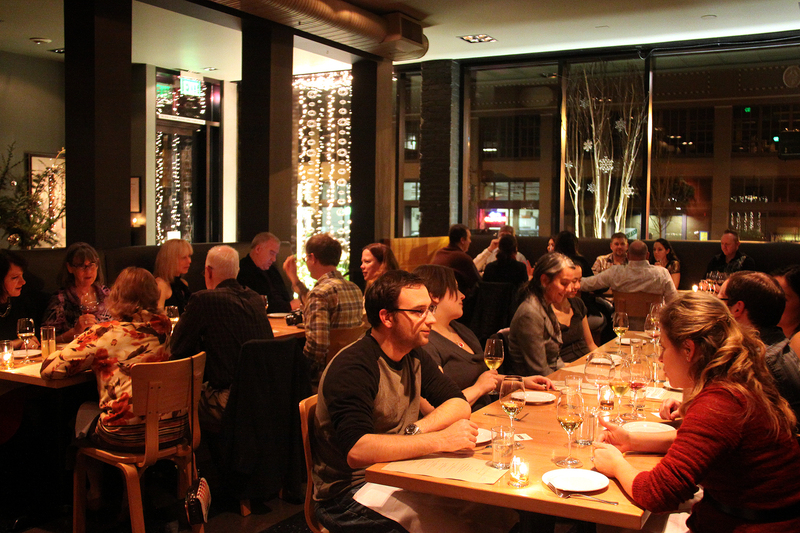 Check out upcoming PFA Events!